On October 16, 2018, the Federal Energy Regulatory Commission (FERC or Commission) issued a landmark order (Order) setting forth a new methodology for: (i) determining whether an existing return on equity (ROE) has become unjust and unreasonable under section 206 of the Federal Power Act (FPA); and (ii) establishing a just and reasonable ROE for a public utility. While the Order addressed on remand the U.S. Court of Appeals for the District of Columbia Circuit’s (D.C. Circuit) decision in Emera Maine v. FERC regarding the appropriate ROE for electric transmission owners in New England, it may have far-reaching implications for the natural gas pipeline industry as well. Since 2014, FERC has utilized a two-step Discounted Cash Flow (“DCF”) methodology, which it had long used for natural gas and oil pipelines, to determine the ROE for electric utilities. In the Order, FERC decided to vastly decrease its prior reliance on the DCF methodology. Going forward, to determine a just and reasonable ROE for electric utilities, the Commission will accord equal weight to the results of four financial models—the DCF methodology, the Capital Assets Pricing Model (“CAPM”), Expected Earnings, and Risk Premium. The Order calls for a paper hearing on the implementation of this change, and leaves open the idea that a paper hearing may define necessary adjustments to the use of four methods. New method: The Commission proposed to rely on four financial models—DCF, CAPM, Expected Earnings, and Risk Premium—to produce four separate cost of equity estimates. The Commission will accord equal weight to each such estimate by averaging the four estimates to produce the just and reasonable ROE. One result of this substantial change is that the Commission will no longer make adjustments for anomalous market conditions because the use of multiple financial models more accurately reflects how investors are making their investment decisions. Instead, as discussed below, any adjustments to an entity’s ROE will be based solely on the entity’s relative risk profile. Screening out high end outliers: The Commission found that the same proxy group can be used for the DCF, CAPM, and Expected Earnings calculations (Risk Analysis does not use a proxy group). The Commission left in place the screens used in developing the appropriate proxy group, but in addition to those screens, it adopted a new screen for high end outliers. Specifically, the Commission will remove from the proxy group any company whose ROE is more than 150 percent of the median result of all of the potential proxy group members in that model. Accounting for risk profile: The Commission concluded that a utility’s relative risk profile will be the most critical consideration when determining whether to adjust, either upward or downward, the ROE within the zone of reasonableness. In doing so, the Commission laid out different calculations for determining an ROE specific to the target utility’s risk profile. It is not entirely clear what factors will be suitable to support a finding that a utility has a higher or lower than average risk profile. Thus, this issue will likely be contentious in the subsequent proceedings addressing ROE. Framework for determining whether an existing ROE is unjust and unreasonable: In addition to establishing a new framework for setting the appropriate just and reasonable ROE, the Commission also proposed a framework for determining whether an existing ROE may be unjust and unreasonable, and thus susceptible to Commission investigation or a complaint. In particular, the Commission proposed to: 1) rely on the three financial models that produce zones of reasonableness—the DCF, CAPM, and Expected Earnings models—to establish a composite zone of reasonableness; and (2) rely on the composite zone of reasonableness to establish a range of presumptively just and reasonable ROEs for a utility with the same risk profile of the target utility. An existing ROE within a certain quartile of the utility’s zone of reasonableness will be presumed to be just and reasonable. The Commission noted that it intends to dismiss an ROE complaint if the targeted utility’s existing ROE falls within the range of presumptively just and reasonable ROEs (unless that presumption is sufficiently rebutted). 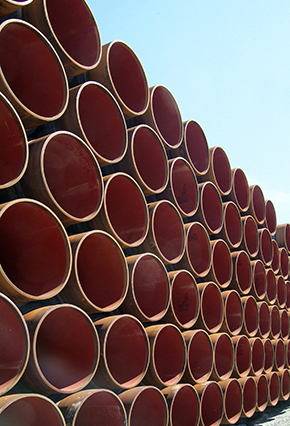 Although the Order addressed an existing record concerning a group of electric utilities, the Commission’s conclusions may have significant implications for the natural gas pipeline industry. Of specific concern is FERC’s lengthy discussion justifying its two central conclusions—1) that the DCF is no longer reliable as a single metric upon which to base ROE determinations; and 2) that instead, analyses of four separate financial models are needed, each to be accorded equal weight. Notably, the Commission supported its departure from its previous practice of relying in large part, if not entirely, on the DCF methodology to determine a regulated entity’s ROE by discussing, at length, its conclusion that “the DCF methodology may no longer singularly reflect how investors make their decisions.” Going forward, the Commission may, as it had done prior to 2014, implement different methodologies for electric utilities versus natural gas pipelines, or may implement the same methodologies in different manners for the two types of entities., However, given the Commission’s generally applicable discussion of the DCF methodology, it may prove to be difficult for the Commission to depart from these conclusions when considering the appropriate methodology for setting the ROE for a natural gas pipeline. That said, many open questions remain regarding if, and how, the Commission will implement its newly articulated framework for regulated natural gas pipelines. One factor that may require a different implementation is the size of the proxy group. Often, the number of companies in proxy groups for electric utilities is more than a dozen, while a gas pipeline proxy group usually consists of just five or six companies. Accordingly, the framework that the Commission establishes in the Order—in which the Commission utilizes the median of the lower half or upper half of the range of reasonableness—simply may not be practicable for a gas pipeline proxy group that lacks the adequate number of companies to establish such medians. Additionally, because gas pipelines tend not to have stated ROEs, the Commission’s framework for determining whether an existing ROE is unjust and unreasonable likely will have fewer implications for gas pipelines than it does for electric utilities (which tend to have stated ROEs). However, for any gas pipeline that does have a stated ROE—whether via settlement or Commission order—the Commission has provided shippers with a bright line method for arguing that the existing ROE is unjust and unreasonable. Van Ness Feldman will continue to provide real-time updates on the implementation of the Order, and its potential impacts on jurisdictional natural gas pipelines as more information becomes available. For more information, please contact Mona Tandon, Phil Mone, Michael Diamond, or Kelsey Bagot.